The Norwegian Space Centre (NSC) is a governmental administrative agency under the Norwegian Ministry of Trade and Industry. NSC promotes the development, coordination and evaluation of national space activities, and supports Norwegian interests in the European Space Agency (ESA). The vision of the Norwegian Space Centre is that Norway in 2015 shall be the country in the world to benefit most from space activities. Research and development are vital instruments in implementing the vision, and user-value is the key word. Norway is sparsely populated and surrounded by vast areas of water. The development of satellite communications, navigation and Earth observation are all required for efficient utilization and governance of these areas. All activities supported by NSC are fundamental tools in the management of natural, economic and environmental resources. The extreme latitude of northern Norway and the Svalbard archipelago is a clear asset. 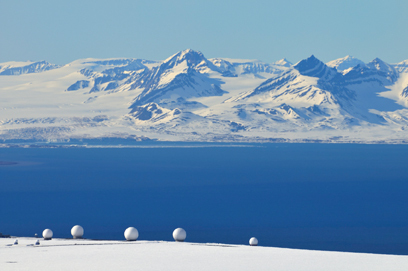 Andøya is an ideal location for launching rockets designated to help study the Aurora, and the ground station at Svalbard is the world’s most favourable site for downloading data from all satellites in polar orbit. NSC aims to strengthen these activities as they enhance the public utility of space. Norwegian companies are world leaders in several niches of satellite communications due to a continuous commitment to development that started as early as in the 1960s. NSC is the main coordinator of publicly funded research and development in the Norwegian space industry. 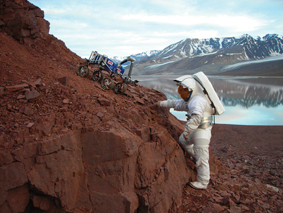 A principal aim is to develop further high-tech industrial ventures within the framework of ESA cooperation, but also in collaboration with other international partners. Norway’s long-standing involvement in selected areas of space research, such as solar physics and Sun-Earth interaction, has attained international prominence. NSC supports research in these areas, as well as in space-related disciplines where Norwegian scientists are likely to excel.